Osteoporosis is a systemic skeletal bone disease characterized by reduction in the number of osteocytes and bone resorption at the microscopic level. The disease leads to a reduction of the capacity of the bone structure and leads to the risk of fractures. 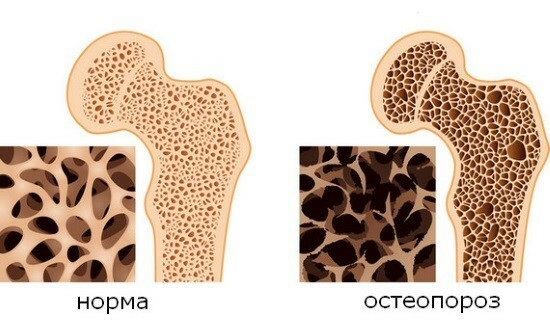 On the x-ray image in the first place, it is necessary to identify primary osteoporosis, also called senile. One of the varieties it is the osteoporosis in women that develops after a menstrual pause. As often occurs with idiopathic osteoporosis, which affects the vertebrae. These two types of osteoporosis are primary, i.e., occur naturally. To diagnose osteoporosis, it is necessary to understand the pathological condition of the skeletal structure, essential to this is the study of the dynamic of mineralization of bone tissue throughout life. 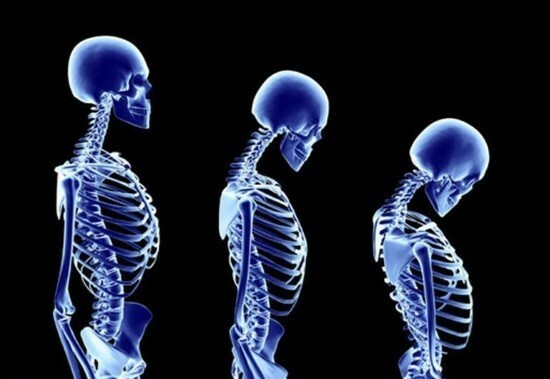 Anatomical study of the bones says that bone human skeleton for men and women consist of up to 25 years equally, but the women of the density of bone structure is 15% less than men. Determination of the density of the bone using contrast agents. Common x-ray signs of osteoporosis lies in the difference between normal and high transparency, at least from the pictures the axial skeleton. On x-ray, in order to make an accurate diagnosis, it is necessary that the disease has caused the loss of at least 40% of bone mass. The thickness of fat and muscle tissue of the patient. The quality and sensitivity of the film. The exposition of the film. Nevertheless, this method of diagnosis is the most simple and cheap method of research, and has important diagnostic feature is necessary in order to further the doctor chose the right tactics for diagnosis and treatment. The reduction in the density of the shadow. The reduction or loss of cross-striations of the vertebral body. Often there are signs that the aorta began to calciphilous. 0 degree — has no symptoms and is considered a conditional norm. 1 degree is expressed by a decrease in bone density and reduction of trabeculae. 2 degree in x-ray picture you can see the initial osteoporosis, which is expressed by a distinct thinning of trabeculae and emphasize zamechatelnyh records. Also seen a clear reduction of bone density. Stage 3 – is characterized by a significant decrease in bone density and podavlennostew abutment area of the vertebral body. The vertebrae begin to make a wedge shape. 4 degree advanced osteoporosis, is expressed in extremely severe demineralization and the emergence of multiple wedge-shaped vertebrae. If osteoporosis of bone was diagnosed in the early stages and can be treated successfully, – on x-ray images can be seen the norm, the correct therapy in the future will lead to a full recovery. For example, osteoporosis in hematogenous osteomyelitis appear on x-ray picture by the end of the third week. After the acute period. If the affected area is located deep in the bone on x-ray picture can be detected point, small foci of necrosis of the bone tissue. These manifestations are clearly visible when using a computer or magnetic resonance tomography, on them they manifest an uneven violations of the periosteum, on the third day after the onset of illness. READ Colonoscopy hemorrhoids: when you can do? If necrosis of bone is located under the periosteum, then the picture can reveal periosteal layering at the edge of the bone at a distance of 1 to 3 millimeters across the surface. Visually, the bone becomes uneven and rough. The use of x-rays is the most affordable method, which allows to specify the tactics of the doctor and to appoint further diagnostic measures. X – ray is an essential item in the diagnosis and treatment of osteoporosis.